Sir Arthur Conan Doyle | Narration by George! We take a listen to some excerpts from Sir Arthur Conan Doyle’s first Sherlock Holmes novel, A Study in Scarlet. I play for you some excerpts from the first section of the book. You’ll hear how Sherlock and Watson meet, how Sherlock makes the deductions he does, how he processes the crime scene, and his solution for this heinous crime. This is all from my production of this book that is now available at a special price. I invite you to take a listen! 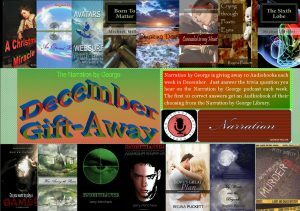 This entry was posted in Classic Literature, George Taylor, Mystery, Narration by George, Sherlock Holmes, Sir Arthur Conan Doyle and tagged audiobook, audiobooks, Christian, excerpts, fiction, Narration by George, Novel, novels, samples, Sherlock Holmes on November 2, 2016 by admin. This week’s podcast continues where we left off last week. A Study in Scarlett is separated into two different parts. Last week, we looked at part one. This week, we look at part two. We start with the passages which outline the events which take place in America and affect the London events which we looked at last week. Then we begin listening to some of Holmes’ descriptions of his deductions. Join us for some amazing descriptions of the American western landscape and some exciting events. There is also a couple bits of trivia about books and reading. 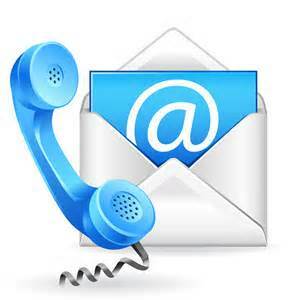 Contact Narration by George via eMail. This entry was posted in Action-Adventure, Audio Books, Classic Literature, George Taylor, Mystery, Narration by George, Reading, Samples, Sherlock Holmes, Sir Arthur Conan Doyle and tagged action, adventure, Audio book, audio books, audiobooks, commentary, excerpts, fiction, Narration by George, Novel, novels, samples, Sherlock Holmes on May 25, 2016 by admin. 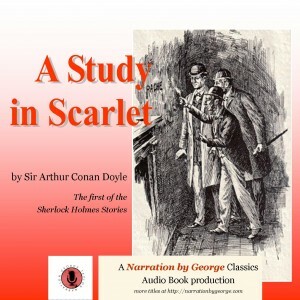 This week’s podcast is the first of two which samples from my latest in the Narration by George Classics series: Sir Arthur Conan Doyle’s first Sherlock Holmes story, A Study in Scarlet. Not only does this story introduce us to Holmes and Watson, but we learn how they met and came to team together. We also get a look at the process by which Holmes brings his deductive process to the science of crime detection. This mystery takes us from the streets of London to the desert and mountains of the American West. 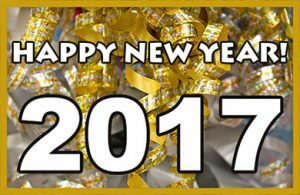 Join me for the beginning of the journey! This entry was posted in Classic Literature, George Taylor, Mystery, Narration by George, Samples, Sherlock Holmes, Sir Arthur Conan Doyle and tagged action, Audio book, audio books, audiobook, audiobooks, crime, detective, Dr. Watson, excerpts, fiction, literature, Narration by George, Novel, novels, Sherlock Holmes on May 18, 2016 by admin. 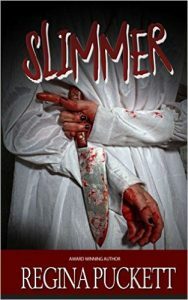 This week’s Audio Book of the Week is a great murder mystery full of satire and commentary about matters involving the way we Christians do “church”. How do murder and church go together? 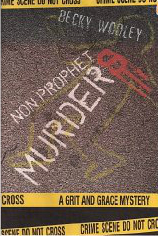 Check out Becky Wooley’s clerical crime novel, Non-Prophet Murders. It’s a great listen which we sample in this podcast. Last week, I announced that two new books were in production. This week, I have samples for you to hear from each of the books. The very first Sherlock Holmes novel, A Study in Scarlett, is the first time Dr. Watson & Holmes work together. Today’s sample is from the first meeting between Watson & Holmes. 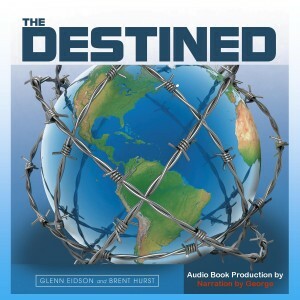 The Destined is the first novel for authors Glenn Eidson and Brent Hurst. Six people – five teens and their teacher – are endowed with special powers to become The Destined: those with the responsibility to save the world from some really bad stuff! In today’s sample, we see how one learned of his special endowment. This entry was posted in Action-Adventure, Audio Books, Becky Wooley, Brent Hurst, Classic Literature, Clerical Crime, George Taylor, Glenn Eidson, Mystery, Narration by George, Samples, Sherlock Holmes, Sir Arthur Conan Doyle and tagged adventure, Audio book, audio books, audiobook, audiobooks, Christianity, clerical crime mystery, commentary, excerpts, fiction, mystery, Narration by George, Novel, novels, Sherlock Holmes on January 27, 2016 by admin.